All CCW licenses expire five (5) years after the issue date. Effective November 5, 2018, you may renew your CCW license any time prior to the expiration date and at any time after the expiration date. If your CCW license expires, you can carry a concealed handgun for an additional 30 days after the expiration date. After this 30-day grace period, you may not carry a concealed handgun until you have reapplied and received a new CCW license. There is no additional training required to renew your license, regardless of how long ago it expired. You must complete a new CCW Application Form and review the current Ohio Concealed Carry Law Pamphlet as prepared by the Ohio Attorney General’s Office. These documents are available online at http://www.ohioattorneygeneral.gov/Law-enforcement/Concealed-Carry. The application form is available in the lobby of the Geauga County Sheriff’s Office. 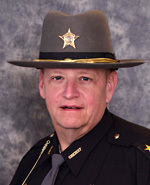 The Geauga County Sheriff’s Office no longer carries the Concealed Carry Law Pamphlet. One of the following methods of payment for the NON-REFUNDABLE APPLICATION FEE must be presented at the time of application: money order, personal check, or EXACT CASH AMOUNT. The fee for renewing your Concealed Carry Weapons Permit is $50.00. If you have not lived in Ohio for the past five (5) years, there will be an additional $10.00 fee for the FBI background check. Payment must be made payable to the “Geauga County Sheriff’s Office”. The Geauga County Sheriff’s Office does NOT accept credit/debit cards! Each applicant’s renewal application will be reviewed for completeness and accuracy. During your appointment, fingerprints will again be obtained electronically through the WebCheck System. Fingerprints will be sent to the Bureau of Criminal Investigation & Identification (BCI&I) and/or the Federal Bureau of Investigations (FBI) for a background check. Your new CCW license will be mailed to you within forty-five (45) days, or you will receive a phone call to pick up your license. PLEASE DO NOT CALL to check on the status of your renewal application unless you fail to hear from us or do not receive your new CCW license in the mail within 45 days. If you are an active member, reserve member, retired, or honorably discharged veteran of the United States Armed Forces, you can apply for a new Ohio concealed carry permit or renew an Ohio concealed carry permit without completing an eight (8) hour certified weapons proficiency training course or paying an application fee. To receive these benefits, you must present an active military ID or qualifying DD214. Law Enforcement Officers, Active and Retired are eligible to receive the CCW License with the application fees waived. NOTE: The Ohio Attorney General monitors the number of application fees waived statewide and caps the total amount allowed to be waived at 1.5 million dollars each year. When funds are depleted statewide, the application fee can no longer be waived until November 5th of the following year.